When I read raves from various food bloggers in town regarding the new Quezo de Bola Cheesecake made by a certain Irene. I was thinking to myself..."Irene who? The name sounds familiar!" 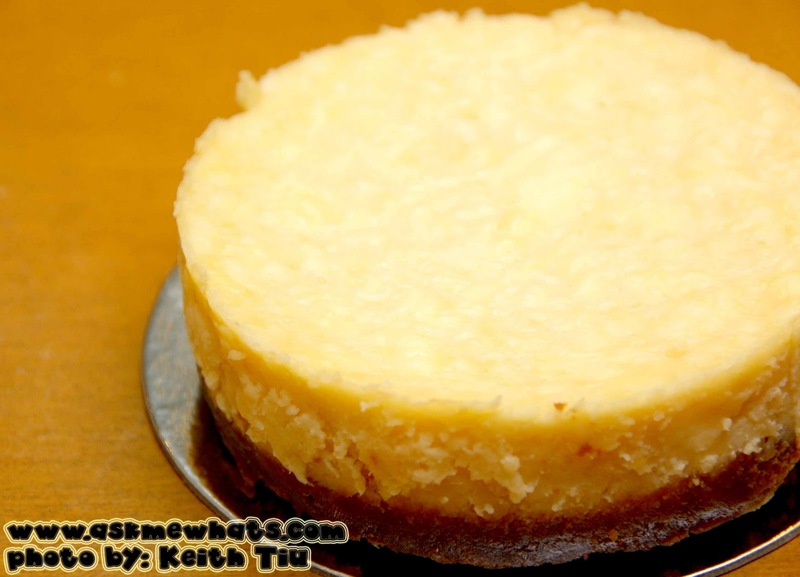 So over the weekend, during our family bonding at Crown Regency Makati, our dear foodie blogger friend Richard kindly delivered the Quezo de Bola Cheesecake and I excitedly shared it to the family! 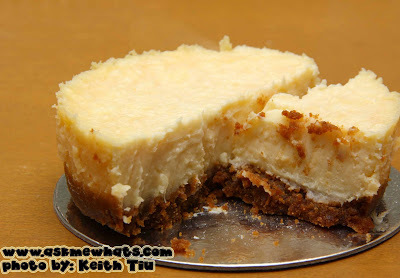 You have to excuse the ugly "sliced cheesecake" photo below! I was too lazy to ring up housekeeping and I can't wait to try the cheesecake everyone's been raving about! First slice offered to my mom, my mom gave this huge "OH it's delicious" sound! My brother agreed, I took a huge bite myself and enjoyed the richness of cheese minus the "umay" (fed up) feeling. I can't even taste the Quezo de Bola "taste" that I am not fond of but I can literally feel the texture of Quezo De Bola! It was New Years' Eve all over again! I guess everyone's waiting for the final verdict? YES! He loved it too, he loved it so much he asked for 2nd slice! *tsk* One slice for me and 2 for him? Who said life is fair? :P Off I went to pass the rest to my sister and my brother-in-law, everyone loved it! Even my nephew! Ooohhh really? I'm sure you'll enjoy this! sarap naman.. i dont eat queso de bola but this one, i wanna try! Give this a try, I don't eat queso de bola too! 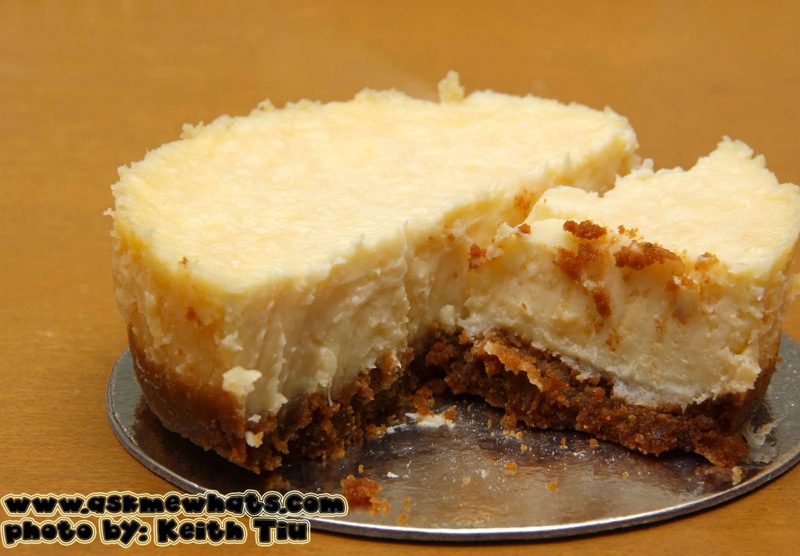 Look at that Cheesecake! Thanks for sharing! you're welcome! Do you eat Cheesecake dear? Looks so yummy! I wanna try! No way, this sounds so interesting. I want to taste it so bad lol. I'm gonna tell my aunties about this. Oohh you better let me know if you visit back, so many food to try!! !